A straightforward indication of the success of your Twitter communications strategy begins with examining the number of followers you have. 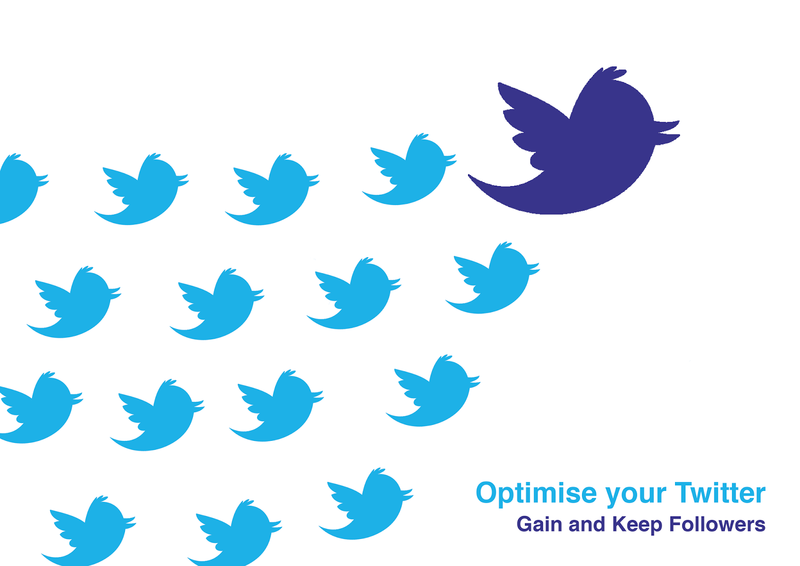 Put simply – the larger the audience, the more exposure your messages or tweets are going to get. We all judge the popularity and validity of a Twitter account by those digits under the followers heading, and despite this being like all judgements – rather shallow – it’s important to recognise that when visitors come across our Twitter accounts they will be doing exactly the same. Of course, there are other factors to be considered during analysis such as the frequency of tweets, the times of the day your followers seem most receptive and how many retweets and favourites you get each month, but we think that in terms of cementing great foundations for your Twitter account to operate at its best, social media managers should focus on gaining and keeping followers, especially when an account is first created. Remember, no followers equals no audience, but lots of followers doesn’t always mean the audience is receptive. It’s important to analyse your followers from time-to-time, to re-evaluate whether as an audience they are right for your campaigns as they develop. So in order to keep this short and sweet, but thankfully not limited to 140 characters, we’ll share with you our top ten tips on how to get and keep the best Twitter audience for your social media strategy. 1) Remember the rules. Twitter works under the same rules as any other form of communication. Common sense, respect and manners will get you everywhere, whereas blatant ads or promotions will lose you followers. 2) Have a personality – show emotion, get excited, be humorous and people are more likely to engage with you. Entertaining your followers with funny comments is a great way of gaining retweets, but avoid any quips which could be interpreted as offensive. Technology can make us all seem like robots sometimes, so it’s important to portray the human behind the computer. 3) Don’t forget to share. Any useful information or content that you stumble upon can be shared via tweets, just remember to credit the authors by mentioning their Twitter account, if they have one. There’s a good chance they’ll follow you and you will have enriched your own account at the same time. 4) Make the most of Follow Friday! Simply tweet #FF along with a few of your favourite followers – make them feel special and it’s likely they will return the favour. Ultimately, you should end up with a couple more followers every Friday. 5) Shorten where necessary. Depending on your audience and the context of your tweet you could try using text language, for example gr8 or yr. Only do this with obvious words though in a few parts of your tweet. It will save you characters at the end which you can use for hashtags or other people can use to comment if they RT you. 6) Avoid using @ spam. Long lists of attached usernames (except for #FF) can flag up your account as spam to other users and will quite likely result in your account being blocked, and, oh dear, less followers. 7) #takecare. Be careful when using a trending hashtag to promote your campaign. Certain political trends could really go down badly, whereas anchoring a relevant hashtag group such as #UKmfg for UK manufacturers could engage your campaign with the right business. 8) Name drop. Associating your brand with a well-known product or company can be a good way of getting extra attention. For example, when ABB Robotics installed a cell at innovative metal designer RoboFold, we made sure to tweet about it and mention their account, leading to their re-tweeting us and exposing our client to a whole new but relevant audience. 9) Take a joined-up approach. Leverage all your other social media and online platforms by linking them to your Twitter account. So if you have a blog make sure every entry has a share button which can be scaled across to Twitter, and a button which goes directly to your page. If you’re using Facebook, use one of the numerous apps which will share your Tweets – go sparingly though, as Facebook users don’t normally expect the high frequency of activity from a user that is common to Twitter. 10) Don’t be needy. Neediness online is as unattractive as it is in the real world. Whatever you do, don’t be needy. Whether it’s for followers or an RT, it comes across as really unprofessional. Considering social media as a marketing tool? With experience in social media management across a wide range of platforms, Armitage Communications can help. Call us on 0208 667 9660 to find out more.